Introduced in the Eighth century, “Tofu” was originally called Okabe in Japan. It is actually originated in China. It is said 2000 years ago it was accidentally discovered by a Chinese cook derived from Soya. Its modern name came in the year 1400 and since then it is one of Japan’s most sublime creations. 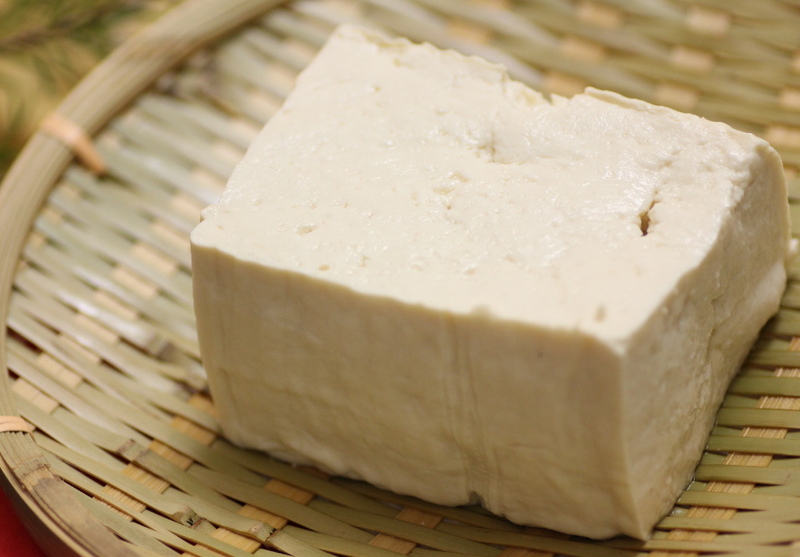 The tofu is mainly used in Soups, “misoshiru” in particular. It is made by curdling fresh soya milk, pressing it into a solid block and then cooling it – in much the same way that traditional dairy cheese is made by curdling and solidifying milk. In shops it is sold in usually two category. “Kinugoshi” and “momen”. “Kinugoshi” is soft while “momen” is little firm. These names came after the technique used when hot soy milk is strained. When it is used with Cotton, it is called “momen”. And if it is used with silk (in Japanese kinu) it is called “Kinugoshi”. Tofu has good amount of calcium and the minerals selenium,manganese and phosphorous and also contains all eight amine acids makes it a very good source of proteins. Apart from that it includes magnesium, copper, zinc and vitamin B1. And as we all know how good Soya beans are to protect against Cancer and heart disease thus it make Tofu as an excellent food from a nutritional and health perspective. But one important thing is that it includes a large amount of Oxalate. Therefore individuals with a history of oxalate containing kidney stones should avoid over consuming soya products. Now in Japan there are lots of dishes made by “Tofu”.